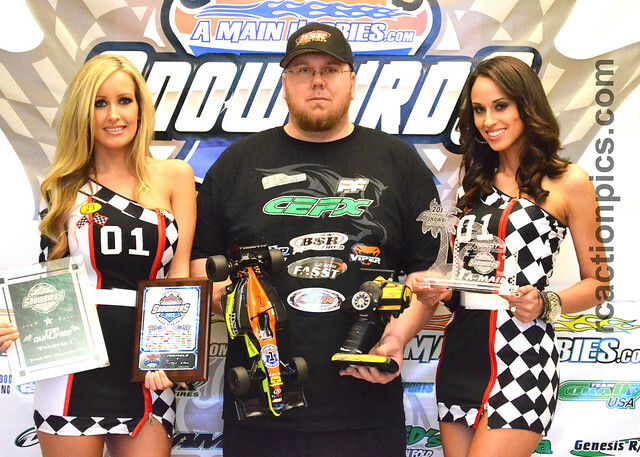 Congratulations goes out to Mark Smyka for his dominant TQ and win while driving his Exotek F1R in the F1 class at the world Famous Snowbirds Nationals last week. 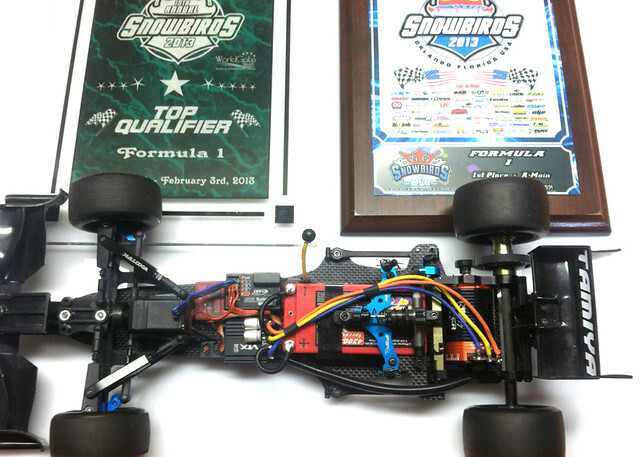 Mark piloted his Exotek F1R to 3 out of 4 heat wins and found the car to really suit his driving prowess. Also used by Mark were Exotek F104 Adjustable Front Arms which were a great tuning aid for the carpet conditions at the Snowbirds. » Report from the round 8 F1RCGP race.